With shades of white making up five of the 10 best-selling Benjamin Moore paints, it's no surprise that the brand picked the shade Simply White as its 2016 color of the year. Find inspiration for the monochrome home in these rooms ranging from snow to cream to everything in between. In this renovated 19th-century house in Cambridge, Massachusetts, white paint wasn't just a style choice, it was also a money-saving strategy. White paint requires fewer coats than color. 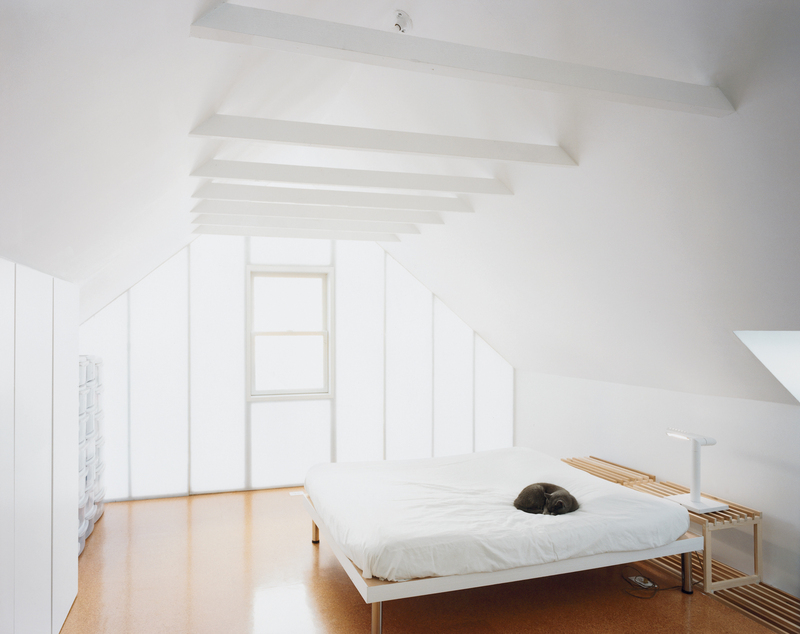 Another argument in favor of all-white interiors is the color's ablility to make spaces seem larger. Combined with a minimal color palette, clever storage and a retractable skylight make this London apartment feel larger than its 576 square feet. In Poland, design firm NArchitekTURA created a fururistic apartment where an all-white interior serves as a backdrop for natural accents. Whitewashed brick walls connect the exterior to the minimalist decor. White plays well with others. In this Copenhagen townhouse, the hue is paired with its cousins black and gray. On the upper floors, bright white walls and plenty of natural light make the bedrooms and living rooms feel spacious.